You must be a member of the The Hague Russian Speaking Group to attend this activity. Would you like to join this group? Let’s cross the borders and travel in our own city The Hague. Hello lovely people of the Internations! For those, who are not tired of celebrating a New Year, there’s one more opportunity for you! 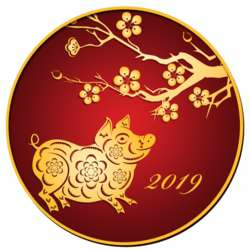 Chinese New Year starts on February 5, Protected content , the Year of the Pig. That will be celebrated in The Hague on Saturday February 9, Protected content . The celebration will take a place at the Atrium of The Hague City Hall and around. There will be a varied performance with music and dance, acrobatics and martial art and Chinese opera as well. It promises to be a grand Chinese spectacle again.